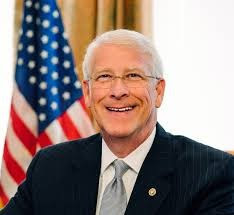 Congressman Roger Wicker will be the guest speaker at the Greater Jackson Chamber Partnership’s Summer Legislative Breakfast – Bringing Washington to You. The breakfast meeting is scheduled for Monday, August 14th in the Grand Ballroom at the new Westin Hotel in Downtown Jackson, 407 S. Congress Street. Wicker has represented Mississippi in the United States Senate since December 2007. During his time in the Senate, Wicker has championed pro-growth policies to create jobs and has worked to reduce spending, limit federal overreach and maintain a strong national defense. Congressman Wicker is a member of the Senate Republican leadership team and served as chairman of the National Republican Senatorial Committee during the 114th Congress. As a member of the Senate Armed Services Committee, he chairs the Subcommittee on Seapower. Senator Wicker has been a strong advocate for economic development initiatives to help keep Mississippians competitive in a global marketplace. He has been instrumental in bringing more research funding to Mississippi universities for a wide range of health-related projects to fight disease and improve quality of life. Prior to his service in the Senate, Wicker was elected seven times, beginning in 1994, to represent Mississippi’s First Congressional District in the House of Representatives. Wicker is a native of Pontotoc, MS and is married to the former Gayle Long of Tupelo. They have three children and five grandchildren.